MICHELE MORO graduated in Electronic Engineering at the University of Padua in 1981. He worked as a freelancer in the period 1982-84. 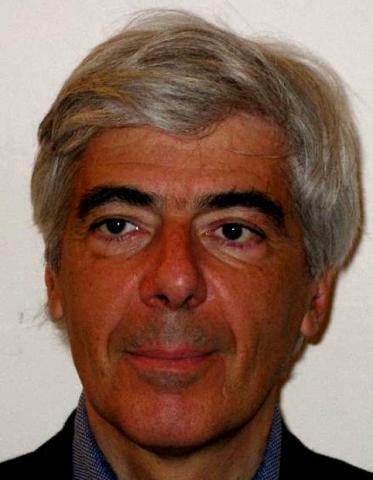 He has been a member of the Department of Information Engineering of the University of Padua since 1984 where he has held the position of assistant professor in computer enginerring since 1987 (ING-INF / 05). He was lecturer of Computer Architecture for the Laurea Degree in Computer Engineering, and is an aggregate professor of Operative Systems for the Master Degree in Computer Engineering and lecturer of the course of Computer Systems 1 for the degrees in Statistics for Economics and Business and Statistics for Technology and Science. He has been advisor for several thesis on various topics related to information technology, networks and the Didactics of Science and Technology. He carries out research in the industrial field, in particular for Real-time Control Systems, on concurrent and Object oriented Languages ​​and Architectures, on Programming Environments for Industrial Automation and Robotics, on Real-time and Distributed Operating Systems, as well as on issues in technology and science education with particular reference to Educational robotics. He is scientific director of the LITTE Laboratory (Lab. on Innovative Technologies for Technical-Scientific Education) and is affiliated to the Laboratory of Intelligent Autonomous Systems (IAS-Lab) of the Department. He is the author and co-author of several publications in journals and conference proceedings on topics related to his research activity. He was local referent in the European projects TERECoP (2006-2009) and RoboESL (2015-2017), and organizer and chair of the series of International Workshops "Teaching Robotics, Teaching Robotics" teaching robotics, teaching with robotics in 2008/10/12/14/16.